We have had enough of the work done on these garden decor ideas. Many of them have really inspired and impressed us a lot. 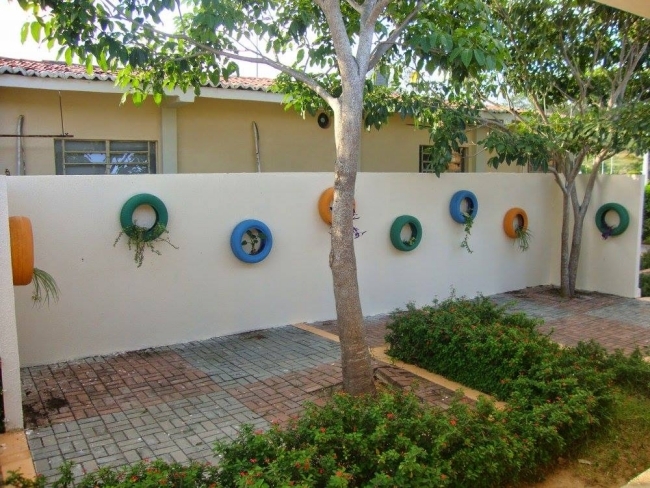 In all of these garden dcor ideas we have upcycled some trashed stuff of a house hold that is considered to be of no use anymore. 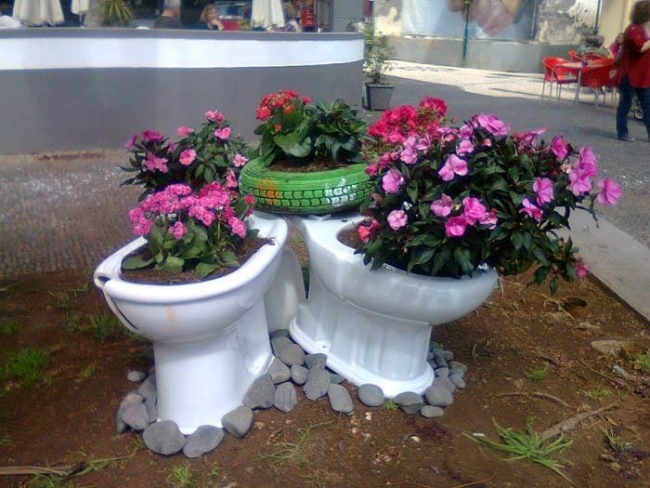 So just like the previous ones, again some dumped material is going to be upcycled in this garden decor idea. 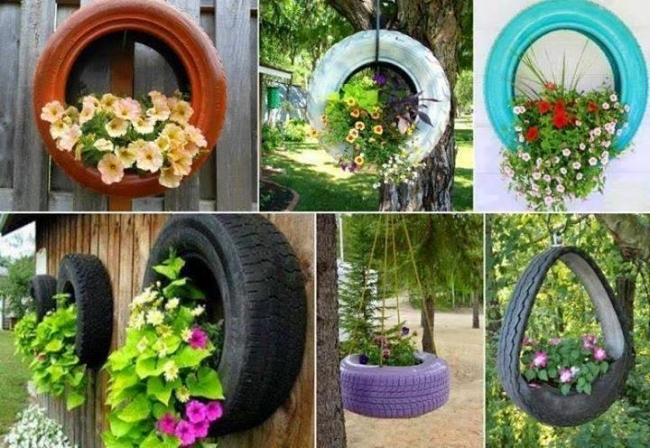 A couple of commodes or bath pots and a used tyre is turned as a huge planter. They are fixed in the corner of the garden making them look like a bunch of fresh flowers. 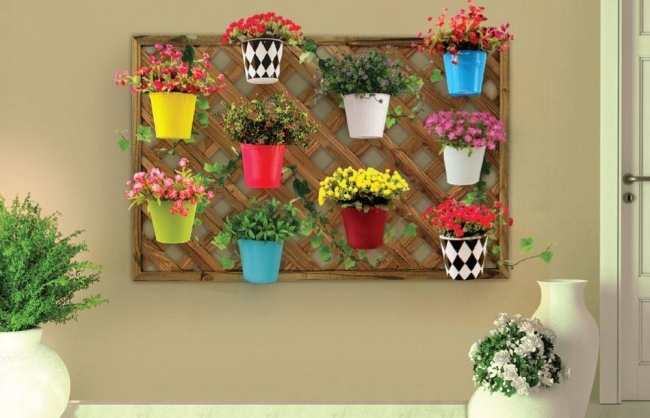 Any idea that is employed for the beautification of the garden other that the usual practices of gardening is a garden decor idea. 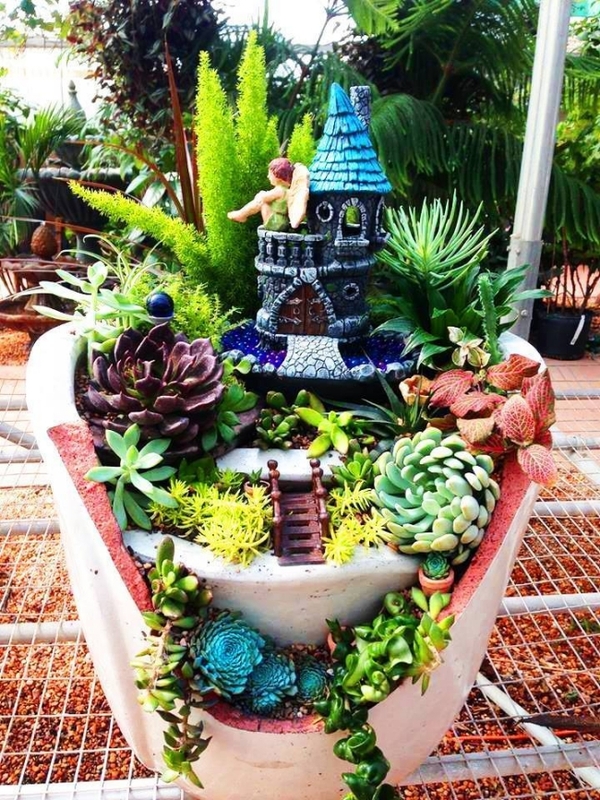 As we come across another brilliant garden décor idea here. 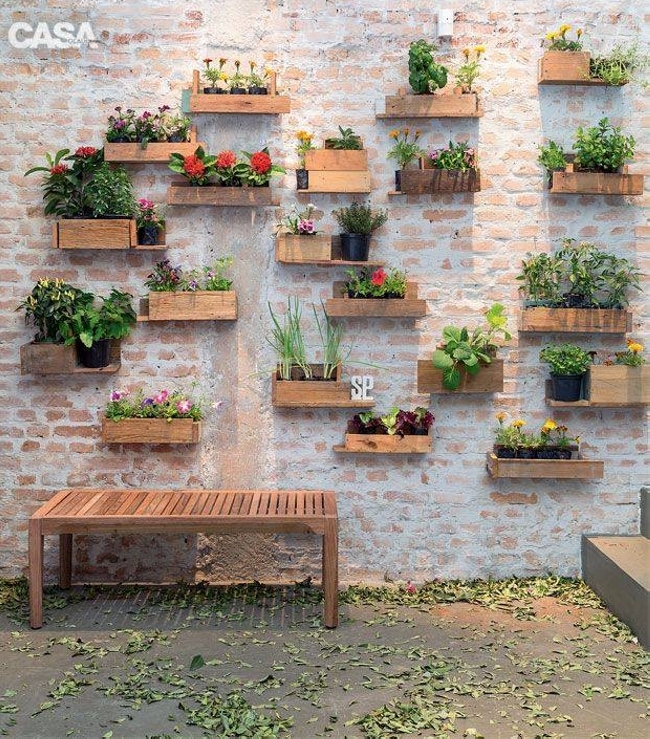 Here we see a number of wall wooden pallet pots that are recycled with the wooden pallet. 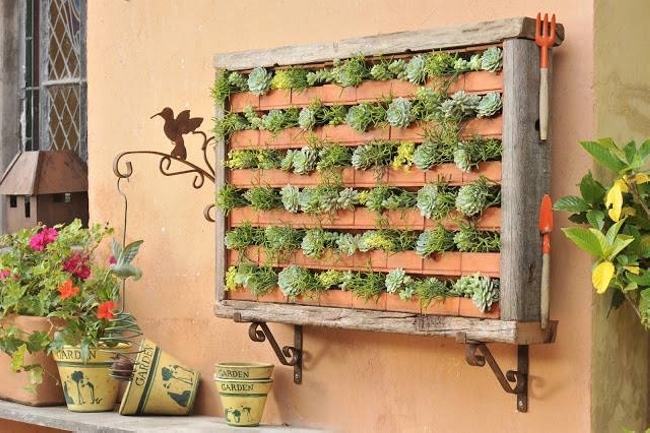 These differently shaped and sized pallet planters are installed and fixed along the garden wall. 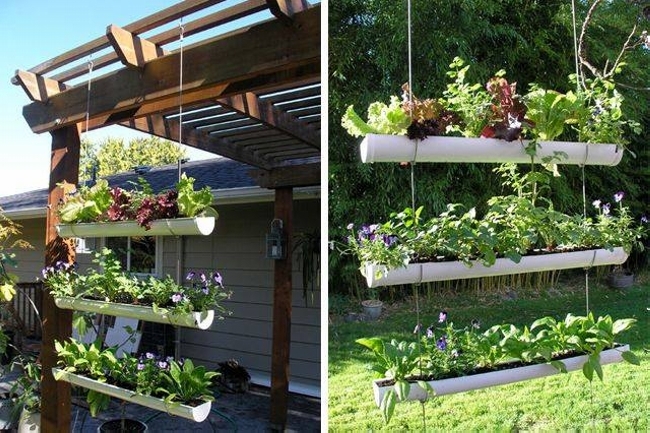 They can also be called as a vertical garden. 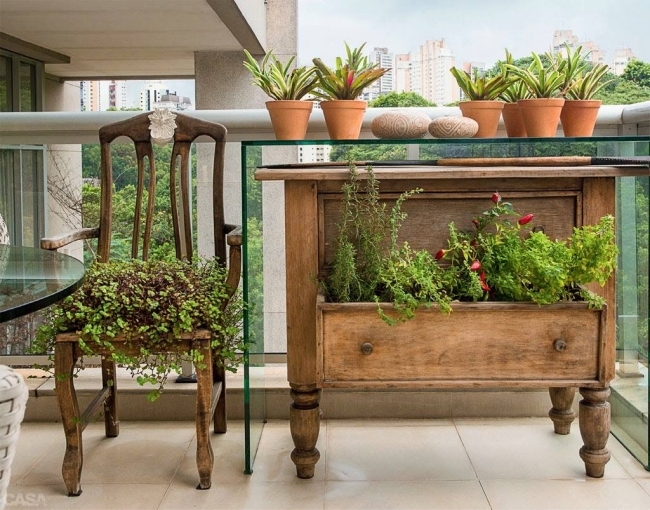 So something different from the conventional garden is here, a very smartly planned and executed garden decor idea recycled with the wooden pallet. 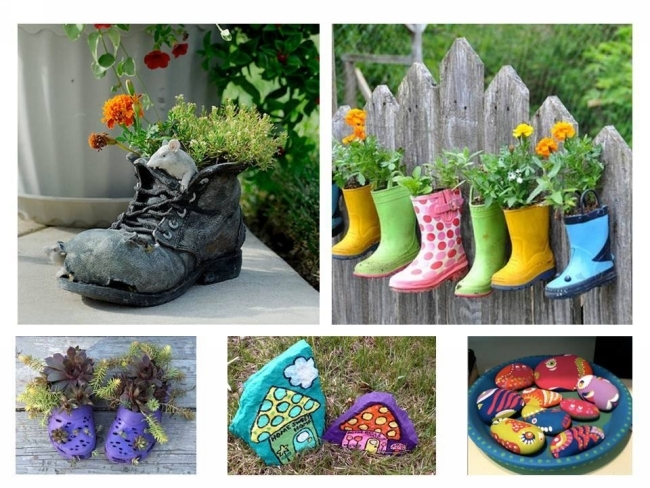 Prior to this project I had no idea that in garden decor ideas a thing as inferior as a horrendous piece of shoe can also be used smartly and turned into a noticeable garden decor art idea. As here in this idea we can see a decades old piece of trash shoe is very smartly turned as a pallet planter as it has the necessary empty covered space that is essential for a pot. 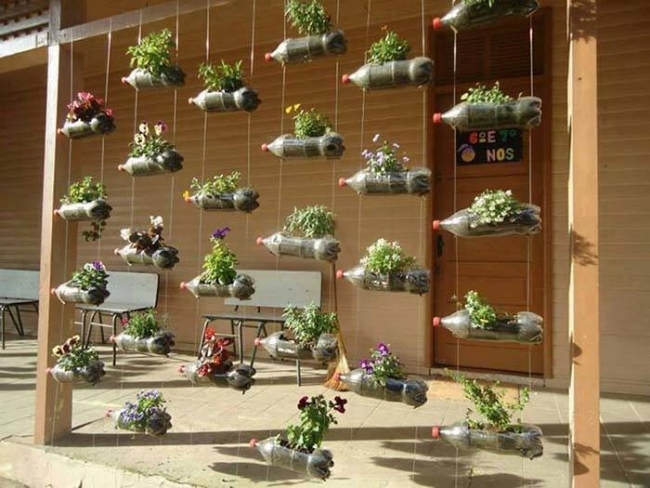 Along with this garden decor idea, there are a plenty of other ideas too that can be executed by upcycling the trashed stuff very easily free of cost.